Last weekend saw Gorrick run what us Southerners have long considered the ‘season opener’. February is very early season of course and a winter of tempo riding leads inevitably to lack of speed and race condition – leaving riders mumbling and grumbling about their non-existent early season form. The heavy winter training load didn’t appear to disrupt TORQ-tuned Marcos Schier’s flow through the singletrack though. Marcos romped home to victory in the Expert/Elite category off the back of a 5-hour training ride the previous day. “I started to prepare my bike – to choose the right bike was crucial, so I decided to go with my Trek 9.8 as it’s made of carbon fiber and perfect for heavy and muddy tracks. I also chose a Continental Escape 2.0 tire for my back wheel and Explorer 2.1 for the front. On Arrival at the race I put my bike together and went to register and do that important warm-up lap (nothing worse than to race without knowing where to go). The Track was almost 9 km long constituted of some mini hills, a few single tracks and quite a few narrow long firetracks. This later helped me to achieve a good speed using the big chain ring and with a rigid frame and a good choice of tires, my bike worked perfectly giving me the opportunity to open a good advantage at certain points on the course. On the first lap everyone was fighting for good positions but it was Christopher Minter who took the first position with the fastest lap of the day. I did try to follow him, but he attacked and opened half a minute ahead from the group. I was riding at my own pace, focusing on my second position and trying not to make any mistakes with my gears. 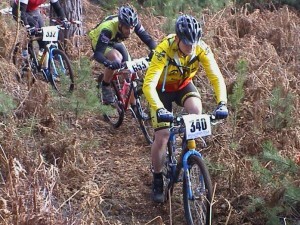 However, at the end of the third lap I had my big chance as I could see Minter about 500 m ahead of me. I felt it was the time to go for it and didn’t think twice. I passed him and from then on, I focused only on what I had to do in order not to lose that important first position. At the beginning of the fifth and final lap I put the hammer down and summonsed all my efforts to win. This was a very good start of 2004 for me and I hope I can continue with my enthusiasm high and achieve some more good results. 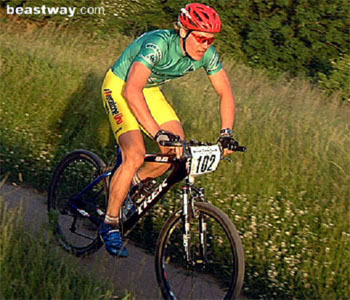 Also, much respect goes out to TORQ-tuned Alex Amey who had a strong ride in the Master’s category after being plagued with injury throughout the 2003 race season. Onwards and upwards Alex! Also, in the Fun Men, a much-improved Simon North cruised home in 7th place, his highest placing ever. The other TORQ riders are still in winter hibernation mode – they’ll start to crawl out of the woodwork around about March time by my expert calculations. 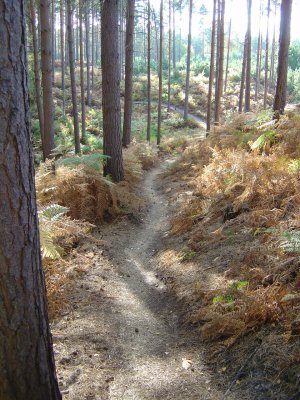 Exodus Spring Series 2004 – starts Sunday 1 February at Yateley Heath Wood, Hants. We are pleased to announce that Exodus are once again supporting our popular Spring Series of cross country Mountain Bike races, and will be providing a range of cycling holidays as prizes. Some of these fantastic holidays will be as rider entry prize draws, so you just have to take part to have a chance to win! Full details are on the website together with an Entry Form and the first round is just 2 weeks away. 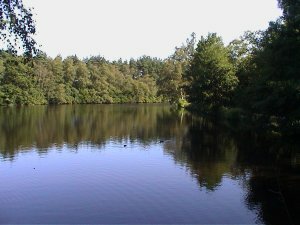 Gill 100 Enduro Challenge – Sunday 25 April.